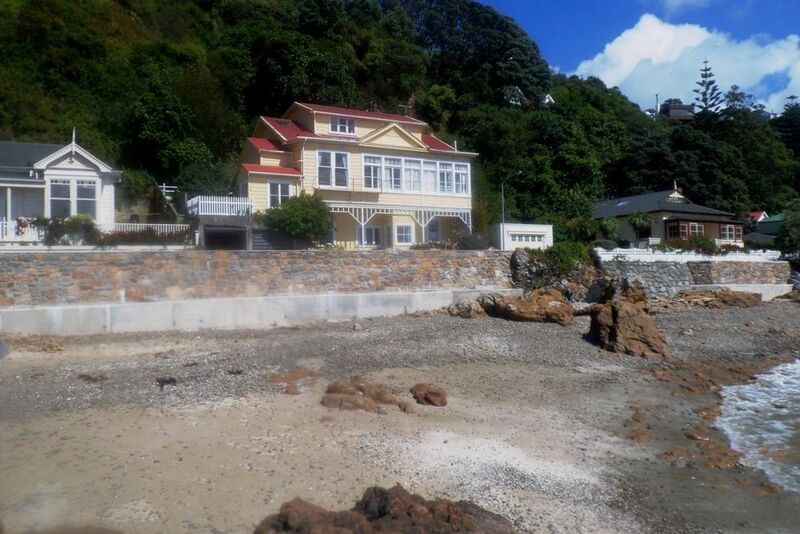 Karaka Bay Beach Apartment is a lovely two room apartment/independent self-catering unit on the ground floor of an historical 1905 villa located right on the beach. Scorching Bay, Worser Bay and Seatoun are within easy reach (5-15 min walk). Only 5-7 min drive from/to the Airport. Close enough to the Wellington CBD (15 min by car) but a world away to enjoy this piece of Paradise! Take a fishing rod and bike as we have some great looking cycle roads. Or enjoy your pleasant seaside stroll and watch our wildlife. Meet most striking sunrises and listen to the calming ocean waves while falling asleep. This Beach Apartment is in 1950s style and is completely independent, with its own entrance and little yard. The apartment is fully furnished and waiting for you! Linen and towels, all utensils are provided. Decor is neutral. The walls are decorated with beautiful paintings and posters by New Zealand artists. Both rooms have marvellous view of the beach. High-speed unlimited Internet. Free WiFi. Samsung Smart TV. Free ample off-street parking. Bus stop across the road. Discounts possible for longer stays. Wish we could have stayed longer! Great location...good facilities,close to lovely cafes/ pub/ restaurants.Nice Bach feel..relaxing. Lovely building. We were in the bottom flat unfortunately could hear the movements of top appartment. Double bed soft rest are stretchers beds. Ideal for a young family. Lovely views and small beach in front. Property a little expensive for what you get, great location.